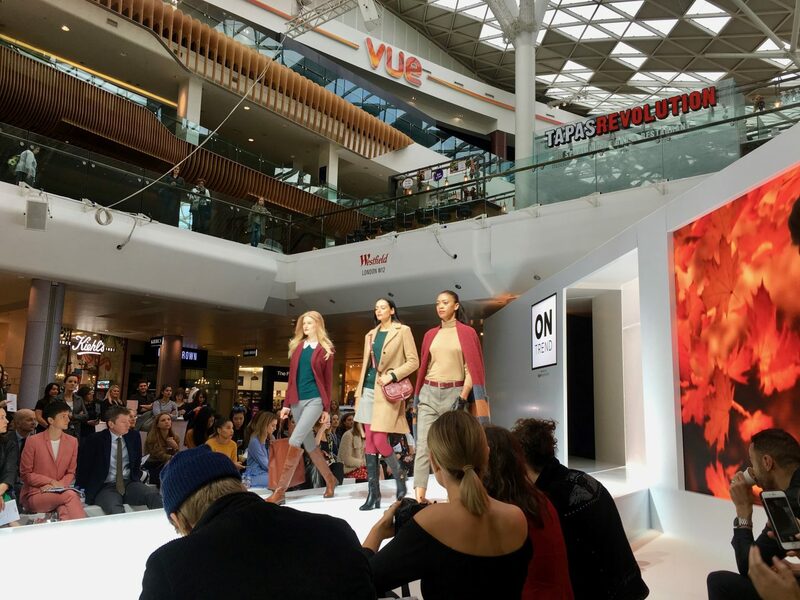 Its been a dream for a few years now, but finally blogging and Instagramming appears to be paying off, and I got my chance to sample London Fashion Week… this is a big old deal for me so thank you to all of you that follow, read and like my posts, this opportunity is largely down to you. I’m not going to comment on the show I saw or the foreseeable fashion trends that may have been suggested. I don’t believe I have the authority to do so. Whilst I may publish outfit blog posts and take pretty pictures of different clothing ensembles on Instagram, I am in no way an ‘expert’ on fashion, I simply like what I like and enjoy sharing it. This is not to say however, that I didn’t feel some ambiguous moment of ‘yes-ness’ when I plucked up the courage to mingle amongst the mega stylishness of LFW regulars. It’s difficult to explain this yes-ness… kind of like when you visit a uni or place of work and being irrationally, though certainly, sure that its where you belong. Maybe its like seeing a dress and knowing that you need to wear it, but kind of on a different level. I felt that being surrounded by beauty, style and a genuinely friendly collection of successful people was the kind of future I could foresee myself belonging to. A few weeks back I received an invitation from Whats About Town, an online fashion, fitness, travel and lifestyle editorial -in-progress. 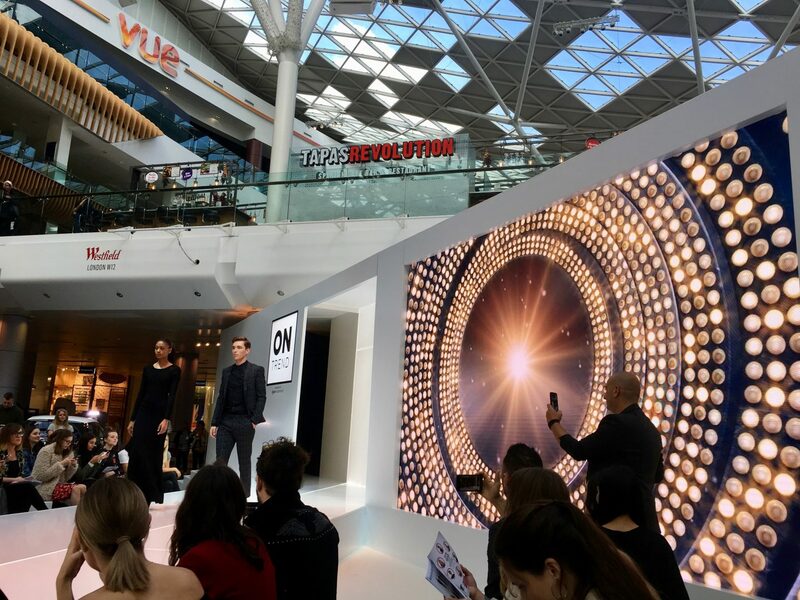 They asked if I would like to attend the launch of On Trend, Westfield London’s fashion and beauty event in collaboration with Hearst Magazines and Dyson. It was an offer I couldn’t refuse so set about planning my trip. 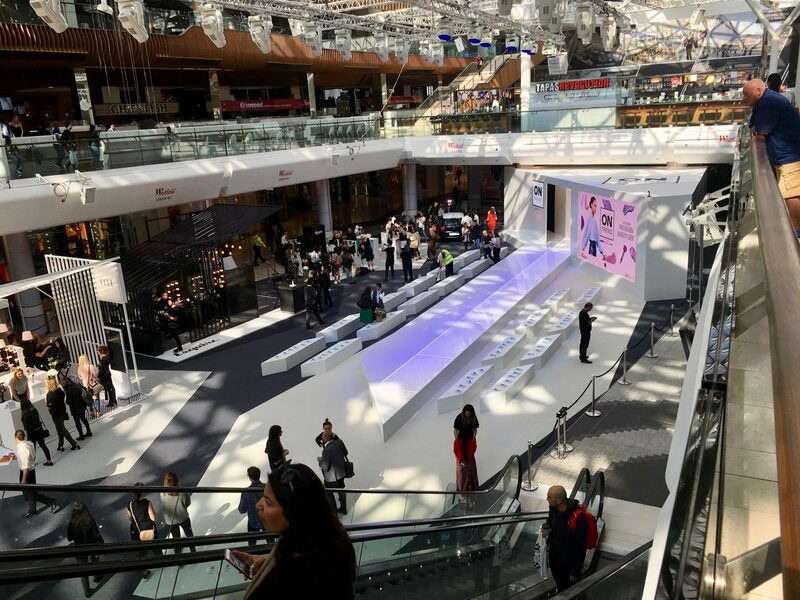 I was purely excited right up until the moment I walked into Westfield shopping centre and realised I was totally on my own, about to walk into an event at which editors of Elle, Cosmo, and higher within Hearst would be present. I knew nobody and had only ever spoken with Whats About Town over Instagram and email… excitement grew into something a little more daunting. 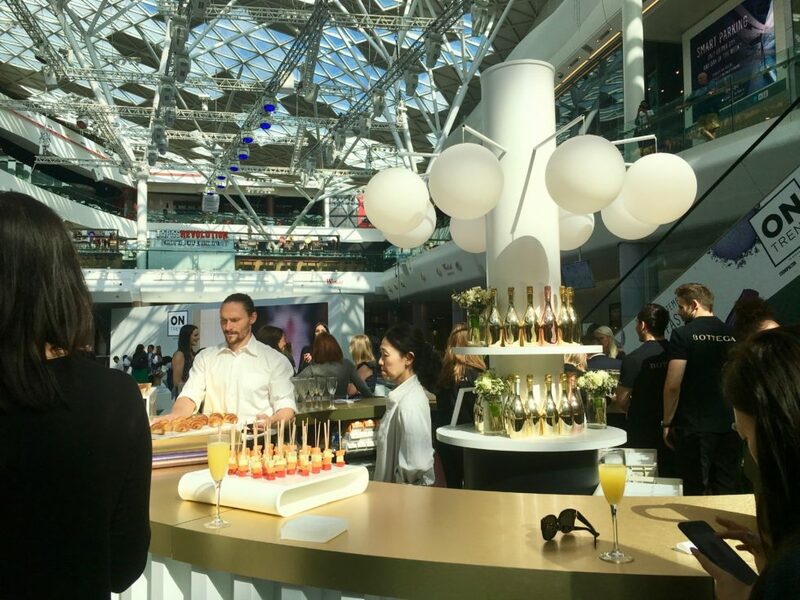 It was one of those deep-breath-and-go-moments (aided by a glass of bubbly), as I took the plunge and introduced myself to the nearest group of people. As it turned out, one of these people was Claire Blunt, COO of Hearst, to whom I introduced myself as ‘just a blogger’… it seems I suffer from severe star-struckness. Fortunately, she took my ironic lack of words well, declaring ‘there’s no such thing as just a blogger’, with a winking smile. Aside from this moment of paralysis, the people I met, Niamh Ellys (check out her blog) being amongst them, were super friendly, and all sharing my passion for media and beautiful things. It was a real pleasure. 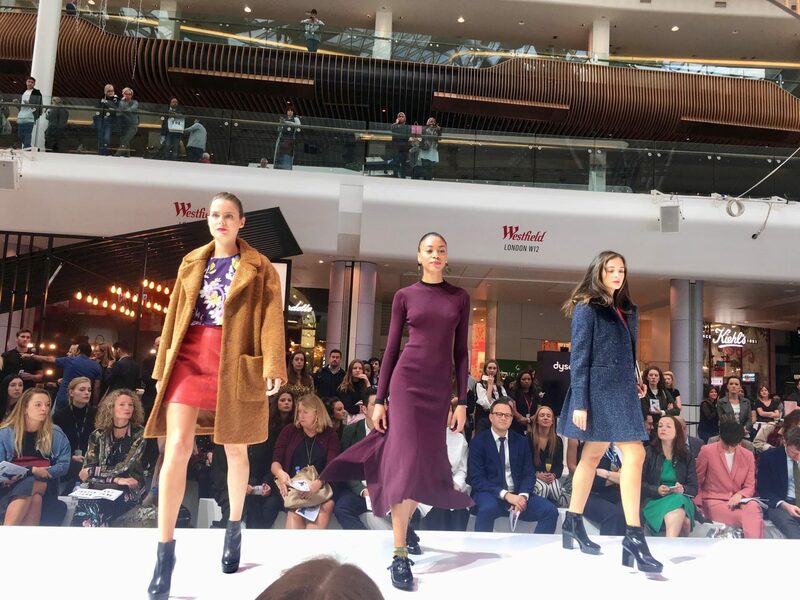 As was the show itself… filled with gorgeous collections by high street brands such as Topshop, Next, Monsoon– literally my perfect show. Though it also proved indirectly dangerous (to my bank account). The fabulously curated looks inspired some bizarre and risky urge to shop in me. Usually, I am a terrible shopper- malls give me headaches, I feel guilty for spending money and trying clothes on is far too much over-heated, claustrophobic faffing to deal with. But suddenly here she was, the shopaholic that had to be inside me somewhere. Wearing a super old Miss Selfridge, large print, floral jumpsuit and new Zara pleather jacket. Spending an obscene amount of money that I really didn’t have, I made a number of purchases that I am yet to regret- I guess I was just super inspired by the show. In fact, I am planning on giving my Instagram more of a fashion direction maybe… depending on my financial situation in due course. 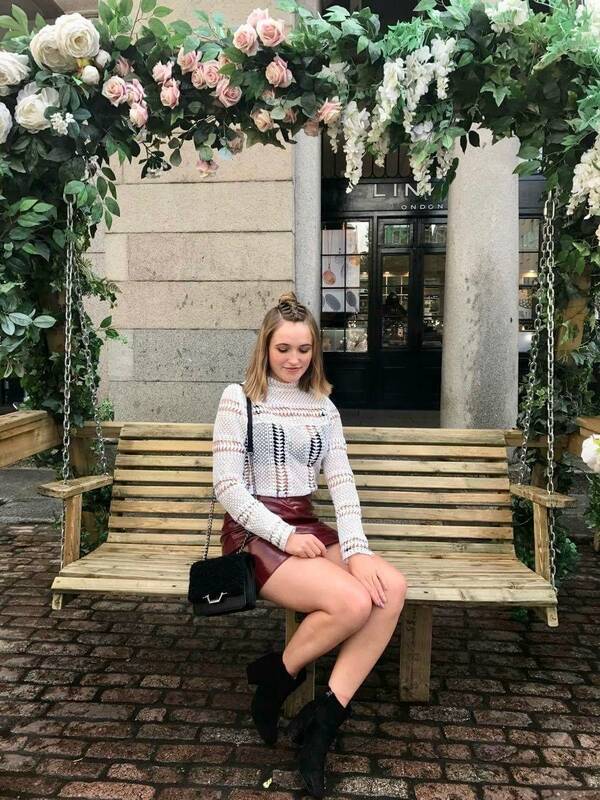 Wearing Styled in London, Zara and Bershka boots. 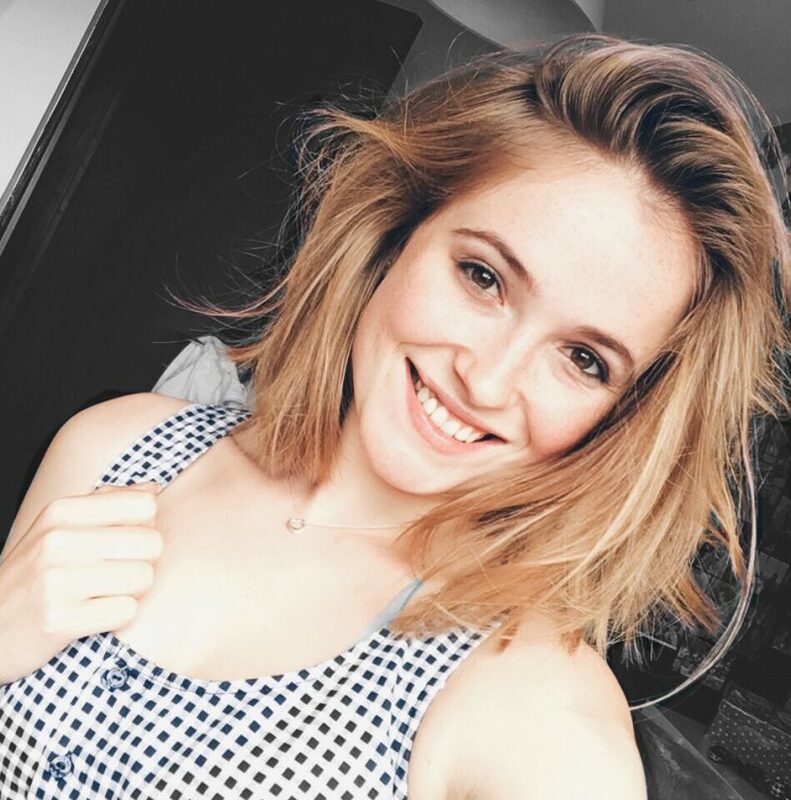 (See my other post on this top by clicking the image). 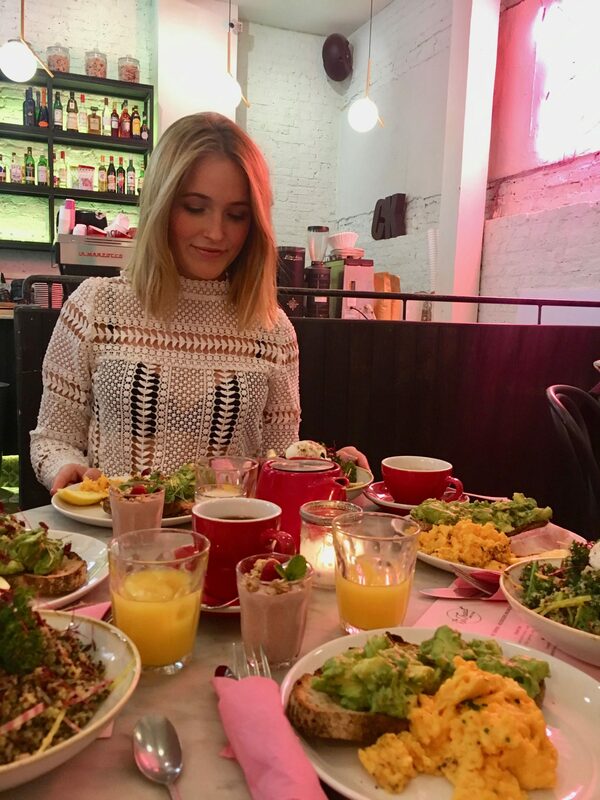 After a crazy night of more deadly cash-splashing in Shoreditch, the Candy Kittens Bloggers’ Brunch came as an extremely welcome hangover-cure. There’s not much better than spicy avo on sourdough toast, coffee on tap and endless sugary treats to make you feel human again. Also, this was no ordinary avo on toast… I may well put it up there in the top 3 I’ve ever had (I’ve had a lot). But have no fear- this was not a one of feast, but generously provided by Covent Garden Grind. 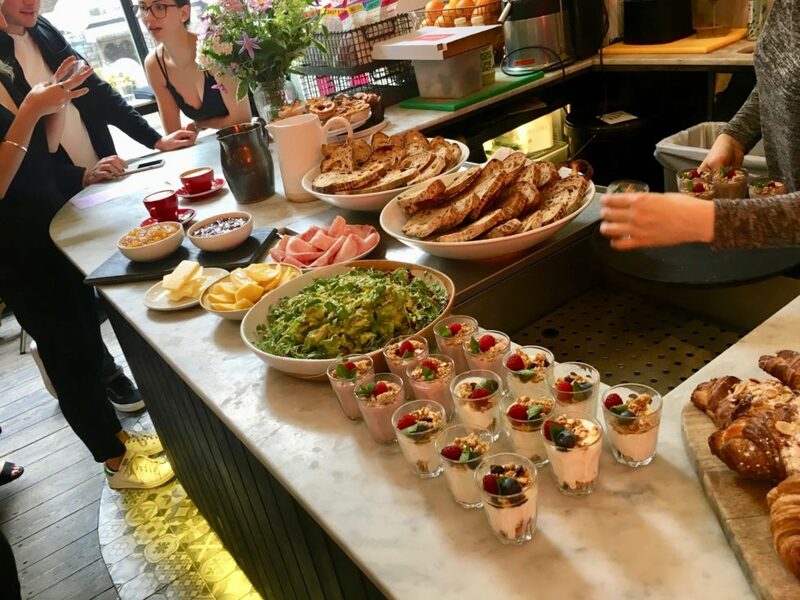 If you’ve not been to a Grind cafe yet, make it your next London brunch (or cocktail, as I’ve heard they’re pretty spectacular too) destination. This brunch was an opportunity to finally meet the other bloggers and influencers that make up Candy Kitten’s #SweetSquad (which I have explained previously). 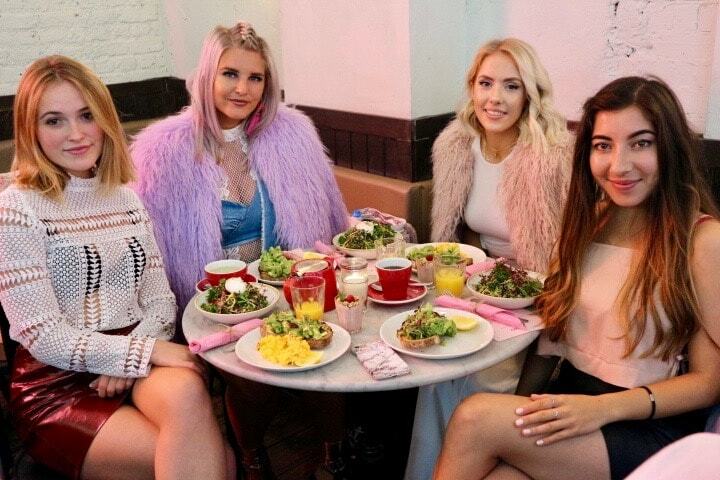 A group of wonderfully diverse, quirky, beautiful girls with excellent style and relevant understanding when it comes to taking photos of the food prior to eating it. A number of these girls had several other LFW events to attend that day and throughout the week, and I hope to be in a similar situation in coming years. But for now, I had THE most incredible couple of days, which worked to cement my love of the media and fashion industries, ignite a spark of the shopaholic within me and inspire a greater push in my blogging and social media work this year. This is the world I want to be a bigger part of.